Guaranteed to last a lifetime, this wonderful pendant is the absolute highest quality, and 100% Made in the USA! 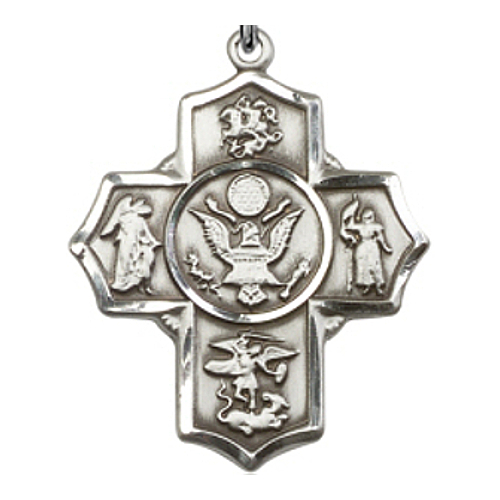 We are proud to sell Bliss Medals & Religious Jewelry, the some of the highest quality Catholic medals & jewelry available. Proudly manufactured in America, each Bliss piece comes with a Lifetime Warranty. Bliss stands behind their products, and so do we! We are proud to sell Bliss' extensive line of high quality products to our customers. If you ever have a problem with your Bliss product, all you have to do is contact us, and we will work to fix the problem! Brand new, never been worn, in box!